Join us this week as we welcome country music singer songwriter, Ryan Broshear. Ryan is the living breathing embodiment of Country Music. From growing up on a farm to paying his dues in smoky nightclubs, he experienced love and loss while chasing his dream of music. His entire life has been set to the soundtrack of a classic country song. 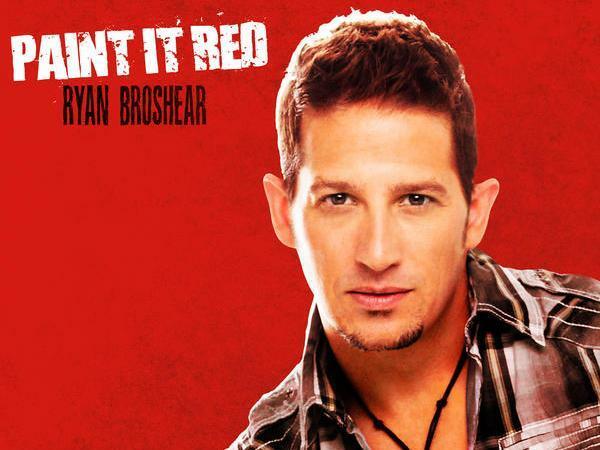 After scoring some hits with his self-titled album from 2012 (like “I Don’t Mind” and “Make Each Moment Last”), Ryan Broshear returns with his new just released six track EP "Paint It Red" (Painted Horse Records). Each of the songs on his new EP, including the mid tempo melodic “Spin Me” and radio-ready anthem “Friday Night In A Small Town”, is written or co-written by Broshear except for “Boots,” a song producer Daniel Agee co-wrote with Justin Weaver. While solidly a neb-traditionalist type of artist, "Paint It Red" showcases how such an artist can release music which is both traditionally-minded and contemporary at the same time. The new EP album from Ryan is available now at all fine digital outlets. We will talk to Ryan about his upcoming schedule, get a behind the scenes look at his music, feature his latest songs, and ask him to share his message for the troops. Please be sure to visit Ryan Broshear at http://www.ryanbroshear.com/ and spread the word. Fans are welcome to call in and speak live with Ryan during the show (718) 766-4193. If you would like to participate in the live chat during the show, you must sign up on the show site first and then log in during the show. And as always we will give shout outs to our deployed military listeners. Be sure to join us, Sunday 8/30/2015 at 4 PM EDT! Our message to the troops: WE do what we do, because YOU do what you do.